Some people play League of Legends to have fun. Others play to win. There's a third category of people so vile, so dastardly, that the mere mention of them is enough to send off most people in the first two categories in a rage. They are the Trolls! 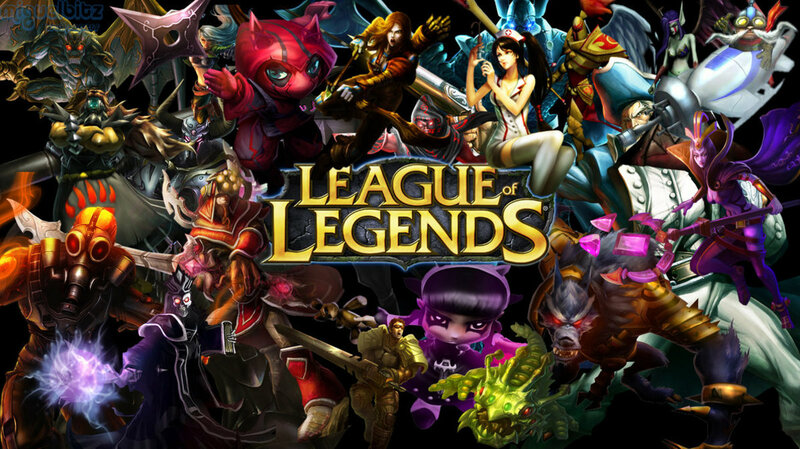 Or, you could join LoL using my referral link, which helps me get rewards at certain milestone levels. Of course, you don't have to join through my ref link, and I won't mind if you don't. The time you spend reading this hub that I have written is reward enough for me! Trolls just love to grief their allies. 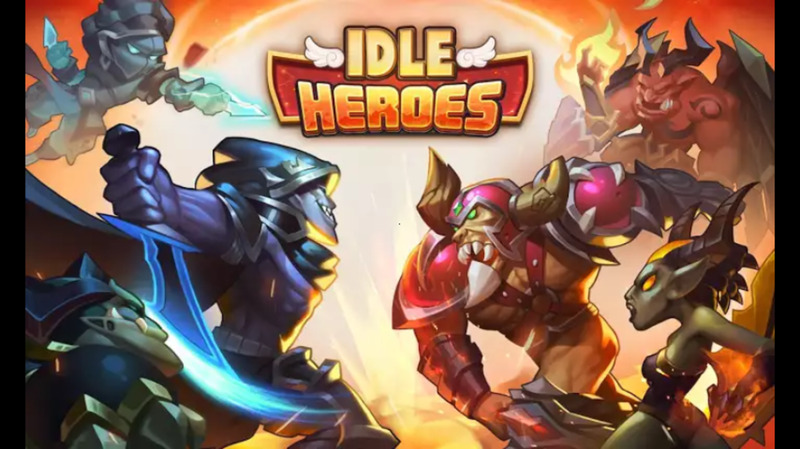 Whether it is throwing themselves at the nearest enemy turret with no regard for self-preservation, chewing out their allies for even the most unbelievable claims, or being KSers. Ah, KSers: The bane of every single self-respecting player. Well, mostly the carries. Most other roles can survive without getting fed. However, carries start chafing under the pressure of being underfed at later stages of the game. In fact, staple carries such as Ashe become useless without early game feed. So, if you're going to be one of those people, there are five champions that stand head above shoulders above the rest in terms of KS potential. 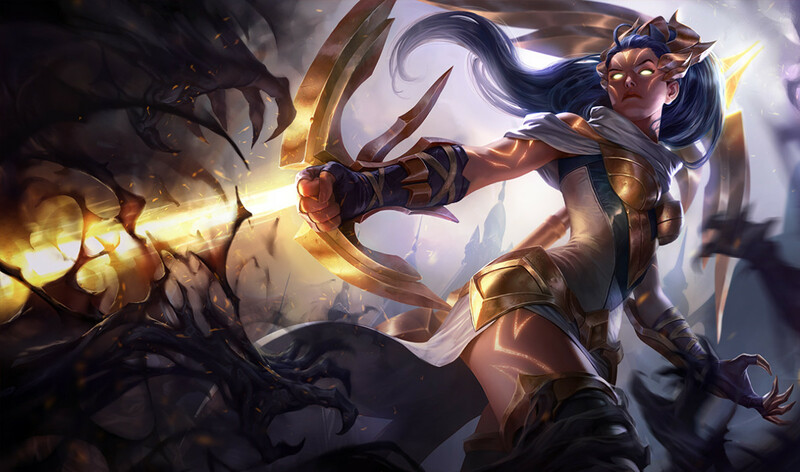 If you're not going to be one of those people, then it would behoove you to know this information anyway so you can keep a close eye on people playing these champions (and because they're actually pretty good champions, so why not learn about them?). First, however, let's explain what KSing actually is. KSing is when your ally has done most of the work for getting a kill and you land the last hit. This is especially true if you come out of nowhere to do the deed. A critical exception to my personal definition is when the target will survive if you do not intervene. In this case that is not a KS. However, the knowledge of when a target will die or not requires game experience. Another corollary to my definition is if it is a support that has done most of the work. Listen, supports and tanks are my two favorite roles. However, let's face it, you don't need the feed if you're playing those roles. The carry does. So, if I'm playing a support or tank and have done most of the work and the carry steps in, the carry can have it. Most people don't see it that way though. So, having said that, here are the top 5 kill steal champions, in no particular order! Despite what anyone would have you think, he's very much Plug and Play. You can build him hybrid, attack damage, ability power, or attack speed, and he functions more or less equally in any of the four builds. He's easy to build as mentioned above. 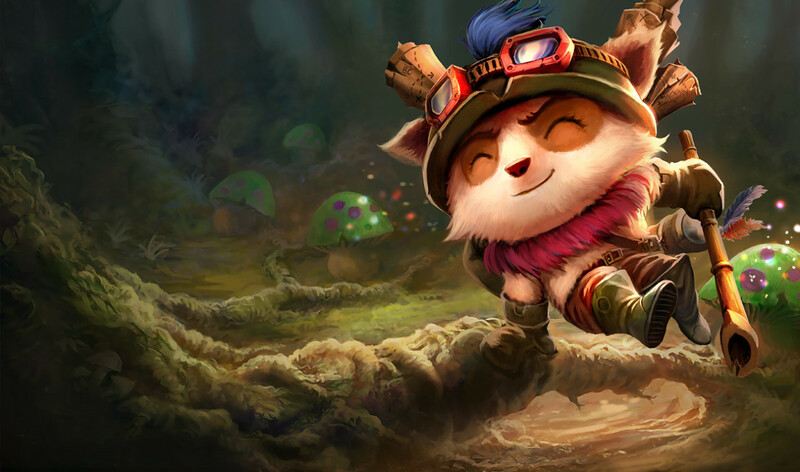 However, what makes this annoying is that Teemo is ridiculous. His E is a passive that boosts his basic attacks with poison damage. His Q basically neuters carries that rely on basic attacks as it guarantees that they will miss. His W makes him speed up so that you can't escape him or catch him. All in all, his power to effort ratio is ridiculous. Even a complete newbie can dominate with Teemo if they make sure not to over-extend too much. Of course, for higher levels of Elo there are far better choices from a power/effort ratio, but this hub is about KSing! 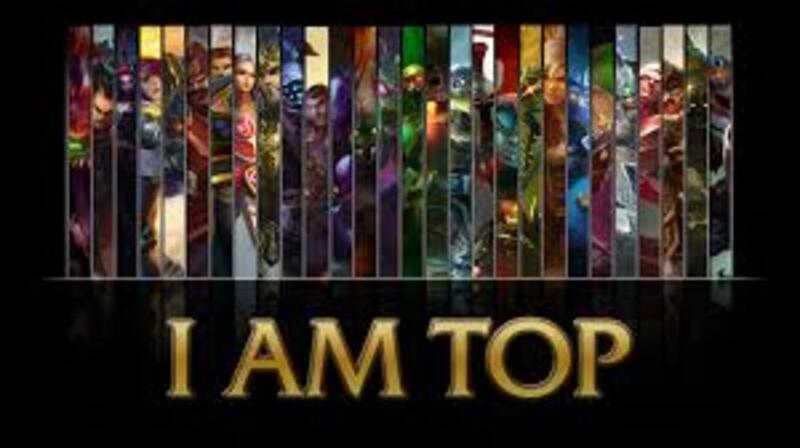 Thus, Teemo earns the dubious honor of having a spot in the top 5 of KS champions. Why? Again, it's the E. Heck, all damage over time champions (Brand, Cassiopeia, Zilean to name three) qualify as this if they feel like it. There's nothing like you dropping someone down to 5% of their HP and then Teemo drops in and shoots a dart at the enemy right between the eyes. If the target doesn't flat-out drop from the basic attack, the poison will finish the job. It doesn't help that most of the Teemos I've played with are jerks. Teemo, my dear readers, is a troll enabler and KSer through and through! Ahh, Mr. Noxus himself. After he was released, Riot Games had to buff Garen because the poor Demacian was strictly worse. The only reason Darius isn't part of every professional's lineup is that he is almost obnoxiously easy to shut down (no escapes or haste in his kit). However, he has great potential in fights where his target is forced to commit. His passive causes the target to bleed out for extra damage. His Q hits everyone around him and hits champions harder if they are on the outer half of the radius. His W cripples the target, slowing them down, and making Darius' job easier. His E pulls the target in (get over here!) and grants passive Armor Penetration. 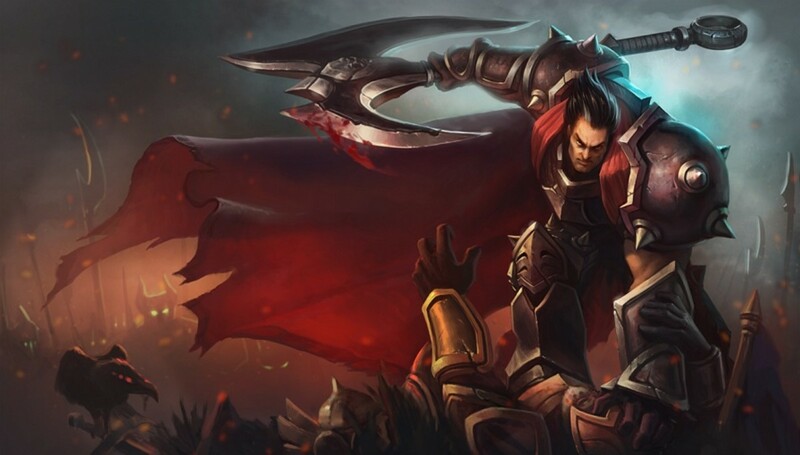 However, Darius' ultimate both takes the cake and is the chief reason why Darius is such a nasty KSer. 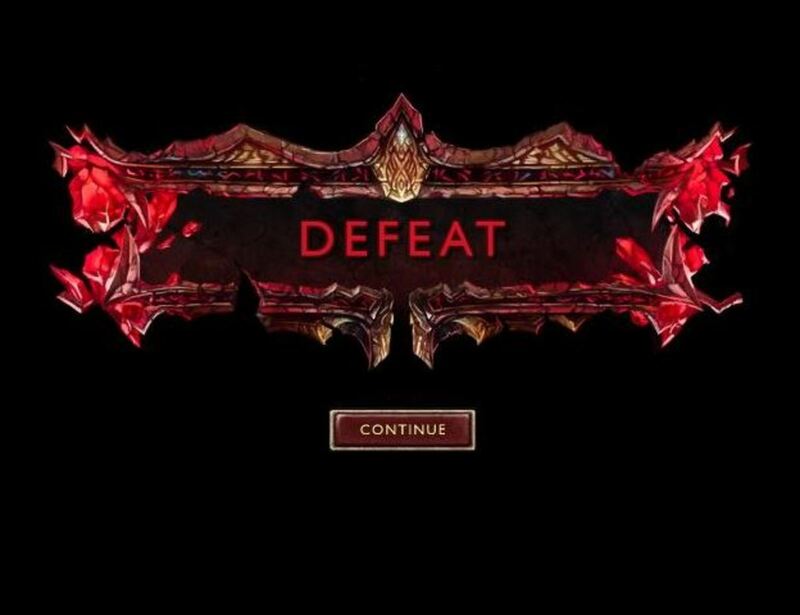 See, Noxian Guillotine's cooldown refreshes is Darius scores the final hit with it. Let me repeat that: If Darius' ult is the final blow on an enemy, it automatically cools down. You're Graves and your ultimate is on cooldown since you used it to soften up a pair of targets. However, your E is about to be ready, so you're going to use it to get a neat double. Fair? Not when Darius is around! Darius leaps in and Guillotines one of the targets (for maximum grief, the one closest to you), and then Guillotines the other the next second. You now have a double assist after doing most of the work. Having both experienced and seen this countless times, I find it hilariously ironic that some Dariuses cry wolf at getting KSed. Seriously, you play one of the best champions for KSing and you're complaining that others are doing it to you? 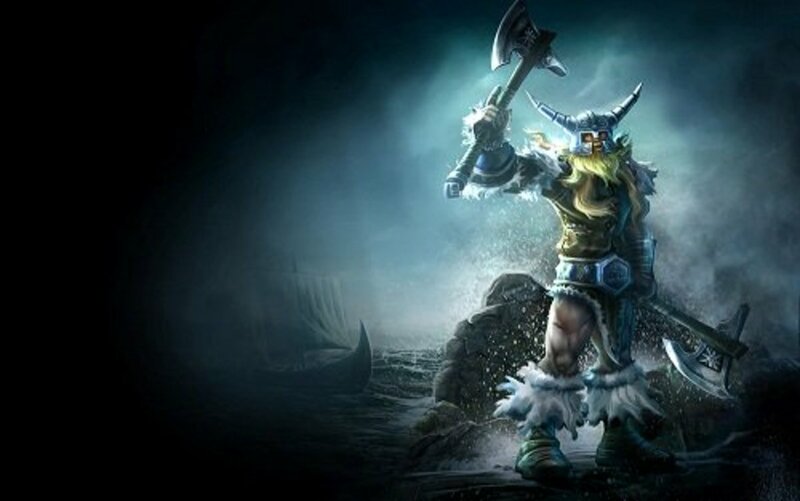 Essentially, it starts with the Q. Undertow allows Olaf to throw one of his axes to slow down an opponent. What makes this ability so nasty is that it damages all enemies it passes through, and suffers NO damage mitigation, unlike things like Caitlyn's or Varus' Q.
Olaf's W allows him to hit harder and gain temporary life steal and spell vamp. It's what LoL players call a steroid. 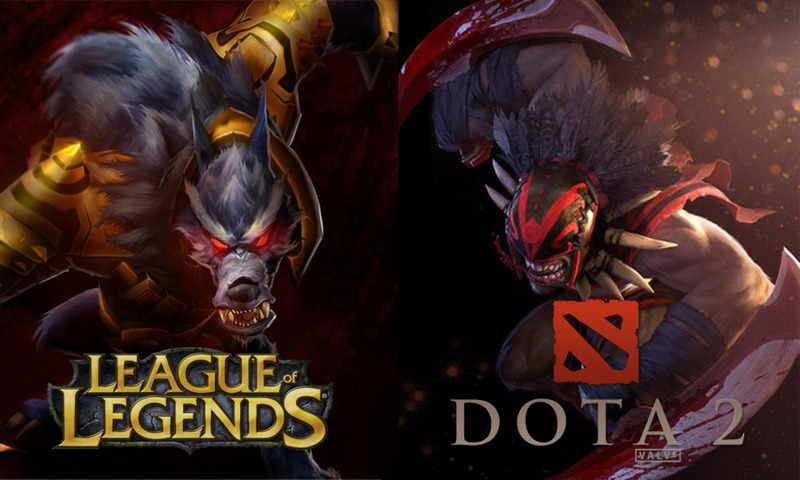 Steroids in League of Legends are always a good thing. The E is basically Noxian Guillotine lite. It's more of an early-game ownage device and a late-game ability to contend with people with triple digit Armor and not insta-lose every confrontation (especially to nasty counters like Malphite). Finally, that Ult. Ragnarok gives passive Armor Penetration, prevents Olaf from being disabled when activated, and grants Armor and Magic Resist for the time it is active as well. So, you snared Olaf, Morgana? No, you didn't. Lulu slow? Denied! Seriously, there's a reason why Olaf is played so much as a solo top in the pro scene. Of course, for KS trolls, there's quite nothing like a good Undertow to an enemy's face. I've had fights I've slaved over get KSed from under my nose by a well-timed Undertow just as I'm about to land my next ability. Undertow travels fast. Trolls like fast. 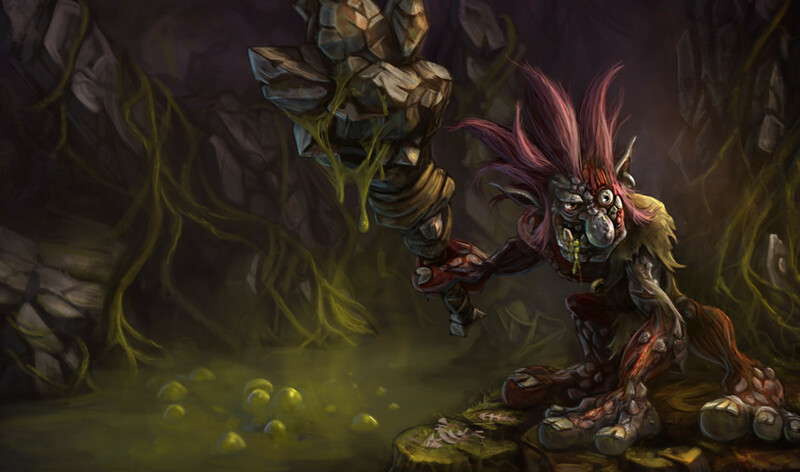 Trolls like Undertow! Thankfully, I haven't run into too many Olaf KSers recently. Just keep in mind that they do exist! Karthus may very well have one of the nastiest passives in the entire League. The ability to persist for seven seconds after perishing (with infinite mana) allows you to continue being a factor in a crucial teamfight, IF your team can keep the fight around the location of your corpse. He has a spammable Q. Mind you, it doesn't hit that hard against multiple units and you have to time it, but in the hands of an expert it is deadly. His W allows you to slow down victims trying to get away from your E. Alternately, it keeps them from getting to you and is just beautiful for messing with enemy positioning in team fights. That E. Seriously, Defile is the nastiest aura I've seen in this game and perhaps in other games of a similar bent as well. Basically, for an obscene mana cost per second, everything in late game melts around you. It makes engaging a late-game Karthus tedious, to say the least. Finally, Requiem. It has inspired YouTube parody videos such as "Press R to Win!". The sad part is that it is true more often than not. 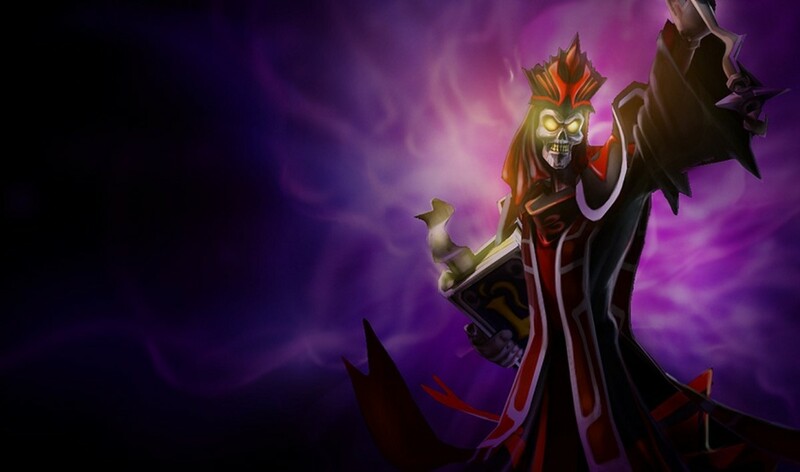 The mere presence of a Karthus forces people to acknowledge the fact via build alterations. What, you don't want to counter build Karthus? Ok, don't forget he has two more sources of damage besides his ult. For KSers and trolls, Requiem is a godsend. Who cares about securing kills when you can just prevent your allies from getting kills themselves? Just press R to KS! Note: To be fair, a fed Karthus is deadly, so perhaps it is in your team's best interest to let you get fed. Still, it's a bit obnoxious to try to deliberately KS in such a way. The last member of our quintet of KSing champions is one of the first to join the League of Legends. While Season 3 hasn't been kind to Ashe's early game (power creep has had a detrimental effect as well), she still has a good amount of utility if you know how to use her effectively. But, we're here to talk about KSing potential, right? So, what's the next best thing to an ultimate that hits all enemies at infinite range? How about an ult that hits one enemy at infinite range? That's Ashe's Enchanted Crystal Arrow in a nutshell. Wait, is that Nidalee going to get that gank? ECA coming up! Could that be my Miss Fortune gearing up to get a triple? Hmm, let's see if I can at least make that a double instead? 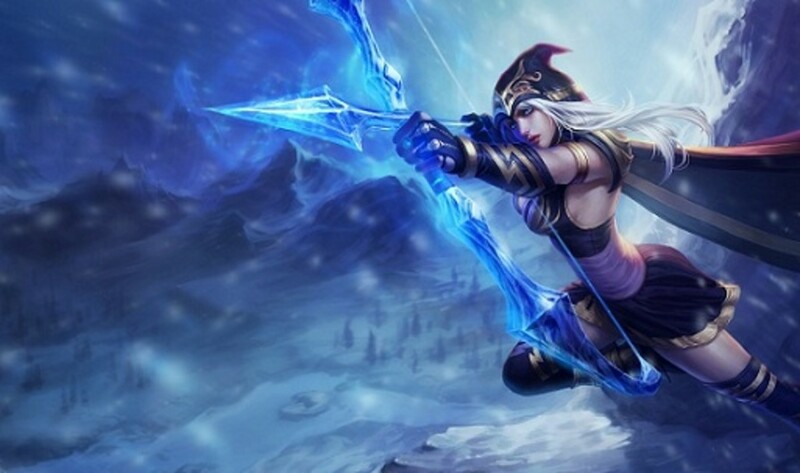 The griefing possibilities are endless, and limited in part only by the fact that Ashe wants to build attack damage and attack speed and ECA scales off of ability power. Have You Ever KSed in LoL? Now, why would I do something like that? Griefing is bad and bannable (don't do to others as you would do to yourself). You will lose games you may have won, just to be spiteful and a Troll. Don't be that person. 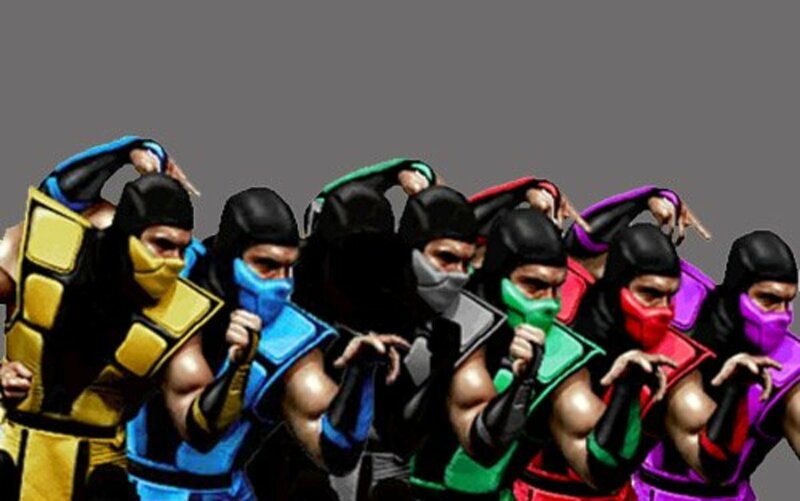 Rise above the KSing! Note: Ok, you'll still fear the trolls that drop out of games, the ones that throw themselves on turrets to intentionally feed, and the ones that badmouth everyone and their own mother. But, at least you won't have to worry about your feed getting stolen if you can secure them! On a serious note, I'd like to thank you for reading this hub. Feel free to talk about stories like this that have occurred in your League of Legends games! And, I don't think I have to tell you that an important thing to read under all of the hyperbole and angst is that these five champions are pretty good. Play them and see if their general playstyles suit you! KS's are just petit ways for people to complain, you aren't stealing the kill, you're securing it, which means if they're on low hp but are out running the champ that dealt the most damage, oh here's teemo with poison dart, especially if they've gotten behind a turret, don't complain about someone securing "your" kill, just because you did the majority of the damage doesn't matter you're the one who let them get away, so if someone gets the kill that you claim was yours, just remember you let them escape. Well I must say, I KSed with Blitz more times then I can remember (I hate myself afterwards). Being support you don't mean to kill the fleeing champ so you just wanna pull and knock them up for your ADC. But guess what? That pull, knock up and your ultimates passive does a bit too much dammage in that 2 seconds. Great idea for a Hub, Karthus definitely wins the title in my mind. Plus she's a carry, and she's supposed to be fed. I prefer to use Teemo's poison to set up kills and annoy the opponent rather than KS. I think his shrooms are good KS'ing tools, though. I totally agree with Darius and Karthus though. And I would like to say that Diana is a KS champ as well. Can't count how many times I accidentally KS'ed with her Q-Ult combo. Akali can also KS a penta after spending most of her time standing still during a teamfight. Pantheon is not mentioned on here (for good reason), but I have found in ARAM that he is really good at kill stealing with his Q and ult. I tried him out and literally got like 50 kills in ARAM. It is possible that both teams were bad but I feel that it is because he is so good at KSing on Howling Abyss. well, i personally think that nidalee has a pretty high potential to ks because she can either turn human and "Q" (her spear) or chase in for the last hit when she's in cougar form "W"
Hello triper! Thank you for the comment! Yeah, that about sums up my attitude towards KSing as well. The annoying part is that most heavy KSers complain when you KS them back. What are they expecting?